Title insurance is a type of real estate insurance. This type of insurance protects the buyer of a home or land against loss of the property should there be later discovery that the title to the property was “imperfect.” Imperfect title is a legal term of art that means that someone has a claim (whether legitimate or illegitimate) to the property. Imperfect title could also mean that the description or recording of the property on the deed is erroneous. It is important to secure title insurance when purchasing real estate to avoid any future financial or property loss. As described above, there are a few ways real estate title can be defective. The principal kind of defect is imperfect title. Imperfect title requires that there be further exercise of granting power to pass the land. This means the seller or buyer of property must take further steps to ensure that title is good for the purposes of transfer (marketable title). Imperfect title includes any encumbrances, unresolved legal disputes, an erroneous recording on the deed, description errors, and other inconsistencies. An encumbrance on land describes a lien that requires payment before the title is free to be transferred. Homeowners who go into foreclosure usually have a lien on the home as a result of delinquent mortgage payments. Unresolved legal disputes may include an active court case in relation to a mechanic’s lien or the house may be subject to a court judgment. If these defects are not discovered during a title search, title insurance can protect against any losses. With quality title insurance, worries about potential imperfect title can subside. Within the realm of title insurance, there are different types of insurance, which covers different aspects of the home purchase deal. The seller’s title insurance policy covers against contingencies, fraud and claims against the property. The lender can opt to add additional coverage, but at a higher rate of cost. Title insurance not only protects you from losing title, but it also protects your lender. And the more protection your lender has, the happier they are to give you a loan. A lender may require additional coverage in case of foreclosure. This guarantees that your lender receives payment before anyone else who may have claim against the title. An attorney can assist you with your title insurance needs as it relates to home purchasing. 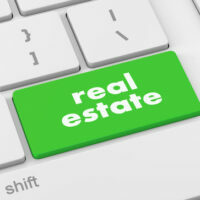 It is wise to involve a real estate attorney when conducting a title or deed search. From a legal standpoint, the attorney is able to inform you of your best options if there should be any title defects. This includes advising you on how title insurance can resolve such issues. Similarly, if you are approaching closing, a knowledgeable real estate attorney can walk you through all the technicalities. Land sale and real estate transactions can be rather nuanced. With a secure title, you can rest assured your property is yours to keep. Our legal team has years of experience advising on real estate issues. We will tailor advice based on your unique circumstances. Call the Law Offices of Larry E. Bray, P.A. to determine the title insurance that best fits your needs.